When i installed xampp on my pc. It worked great initially. But after some time, i stuck with an error “this may be due to a blocked port missing dependencies”. This error suddenly pops-up when i tried to run the apache server. It took hours for me to fix the issue but after banging my head over the wall I came up with a simple solution. First lets see, what is this error for? Actually the xampp installs the apache server with the default port 80. If this port is free in your computer, your installation works fine. But if this port is in use by some other application, you will get this error “this may be due to a blocked port missing dependencies”. Usually, skype use this port. So, if you have skype installed in your computer, you must have got this error. The solution is simple, just change the port from 80 to some other value. And, how to do that??? Step 1: Go to xampp/apache/conf directory and open httpd.conf in notepad or some other editor. You can also open it directly from the xampp control panel. Change this port 80 to any number of your choice, here i have taken 8000. Replace with the following, take the same number you have used in upper code. Save and close the httpd.conf file. 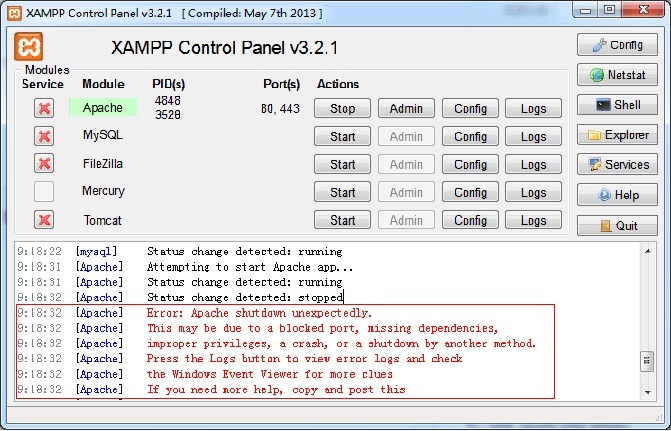 Now, restart the xampp control panel and start the apache server again. If it’s working, great, otherwise you need to change another port also i.e. 443 by default. So, where do you find it? to any port of your choice, here i have taken 4433. Save and close the httpd-ssl.conf file. 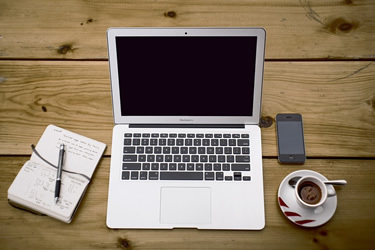 Restart the xampp control panel and click on start button next to apache…. and boooom its working..
Click on the subscribe bell on right bottom corner of the page to get updates about our new posts.